A really interesting play will be showing soon at the Aronoff… featuring a soap star who will be sharing her personal journey spurred by one of my favorite things in life: shoes. Tina Sloan, 67, best known for her 26-year role as nurse Lillian Raines on the CBS daytime drama, Guiding Light, announces the Cincinnati debut of her one-woman show, Changing Shoes on October 18, 2010, 7:30 PM, at the Aronoff Center’s Jarson-Kaplan Theater. Alternately hilarious and deeply moving, Changing Shoes is the story of a television star who suddenly faces the greatest challenge of her career – getting older. Changing Shoes will then tour the United States with performances scheduled in Pittsburgh, Houston, Palm Beach, Jupiter, and many other cities, culminating in a full production Off-Broadway. Tina Sloan has appeared in the Woody Allen films Celebrity and The Curse of the Jade Scorpion. She can also been seen in The Brave One with Jodi Foster, Changing Lanes with Ben Affleck, The Guru with Marisa Tomei, and People I Know with Al Pacino. On television she has appeared in Guiding Light for 26 years, Somerset, Search For Tomorrow, and One Life To Live. She has been seen on Law & Order SVU and Third Watch. 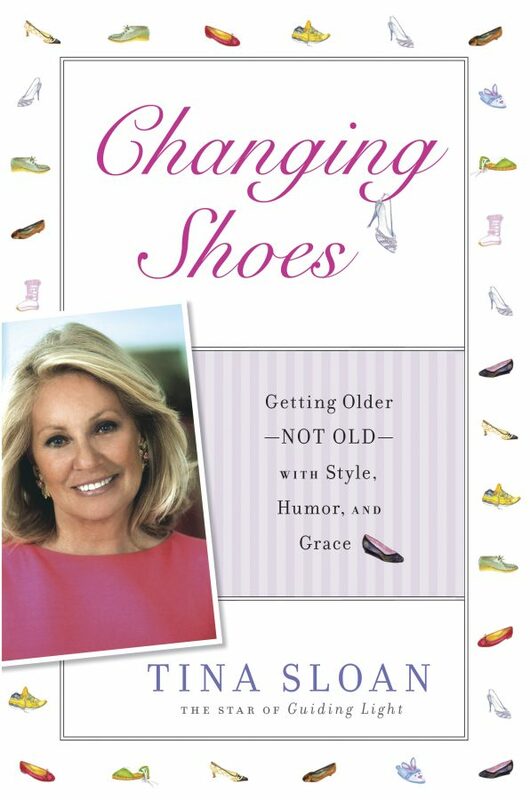 The release of her new book, Changing Shoes, published by Penguin, will be on September 16, 2010 – the one year anniversary of when our beloved Guiding Light went off the air. Joe Plummer is the Artistic Director of the award-winning New York theater company Poor Tom Productions, and is currently Artist-in-Residence for Sand, Surf and Shakespeare in Palm Beach. His television credits include the series The Smoking Gun Presents… and Disorder in the Court.